A new treatment for 2018, we now offer Venus Legacy technology to safely tighten and contour skin that has become loose or saggy on the body. Venus Legacy combines Multi-Polar Radio Frequency, Pulsed Electro Magnetic Fields and VariPulse Technology to produce heat deep under the skin’s surface and stimulate natural healing. Collagen and elastin fibres are also increased during this process, resulting in dramatic improvement to the quality of the skin and the contour and shape of the body. 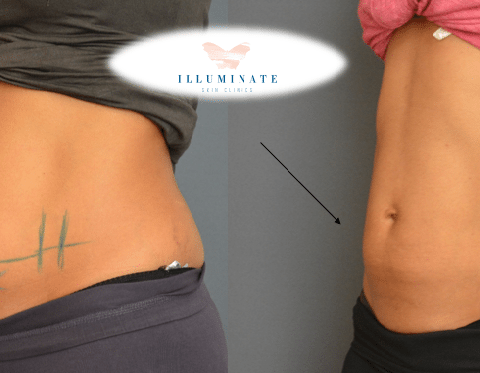 Skin tightening is a non-invasive procedure looking to firm sagging and loose skin on the arms, legs, abdomen and buttocks. The skin tightening procedure helps tighten and firm body skin with just one treatment without surgery or injections and with a quick recovery time. The skin tightening treatment works by heating deep collagen fibres in the skin and shrinking the volume of fat cells at the same time. This technology is also highly effective in reducing cellulite, as well as for bottom lifting treatments. 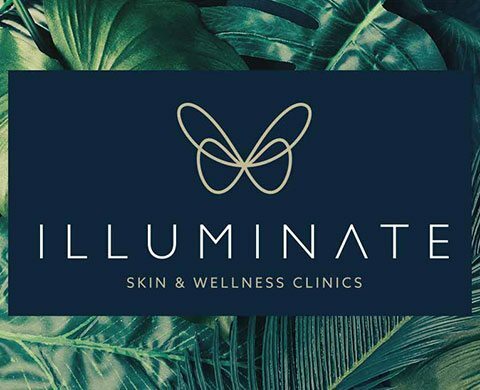 If you want to find out more about our body skin tightening treatments or to book an appointment, get in touch with the Illuminate Skin Clinic in Kings Hill, Kent today for an initial consultation with one of our body skin tightening specialists. Multi-Polar Radio Frequency and Pulsed Electro Magnetic Fields produce heat under the skin’s surface. This naturally increases collagen and elastin production, shrinking the volume of fat cells at the same time. An adjustable pulsed suction (VariPulse) pulls the skin upward, allowing the energy produced to travel deeper beneath the surface of the skin. Treatment is administered via a hand held applicator that delivers heat to your skin. You will also feel gentle suction on your skin when VariPulse is being used. No. Many patients love the experience that this treatment brings, describing it a feeling like a hot stone massage. Anyone who would like to tighten sagging or loose skin, reduce cellulite or contour and enhance the shape of most areas of their body.